mondocheapo A beautiful combination of influences creates something original. 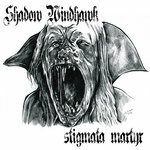 Shadow Windhawk finds the beauty in horror. Brilliant. Favorite track: Borgo Pass. Join now to receive all the new music Shadow Windhawk creates, including this release and 5 back-catalog releases, delivered instantly to you via the Bandcamp app for iOS and Android. You’ll also get access to supporter-only exclusives. Learn more. 1st Pressing - the CD edition of the album. Limited to 125 copies worldwide. Pre Order includes two 4x6 promo photos, a new Morticians' guitar pick, a new vinyl sticker and access to download an additional studio recorded cover track, not found on the album. CDs can be signed by request. Digital Release: August 1, 2018. Physical Pre Orders ship in October 2018. Inspired by life (and death) in New York City, horror cinema, monsters, madmen and darkness...this is the third studio release from Shadow Windhawk and the Morticians. Featuring 9 new tracks - 2nd Pressing Limited Edition CDs from Black Flame Records are coming this Summer. LE 12" Vinyl LP release, (with all new artwork by Joel Robinson) is also coming soon - Autumn 2019. 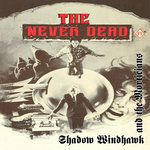 "With the power of his unique sound and voice, and samples from a litany of classic and modern Horror, Shadow Windhawk proves once again why he can easily be considered a current heavyweight of the genre." - HorrorHound Magazine, October 2018. 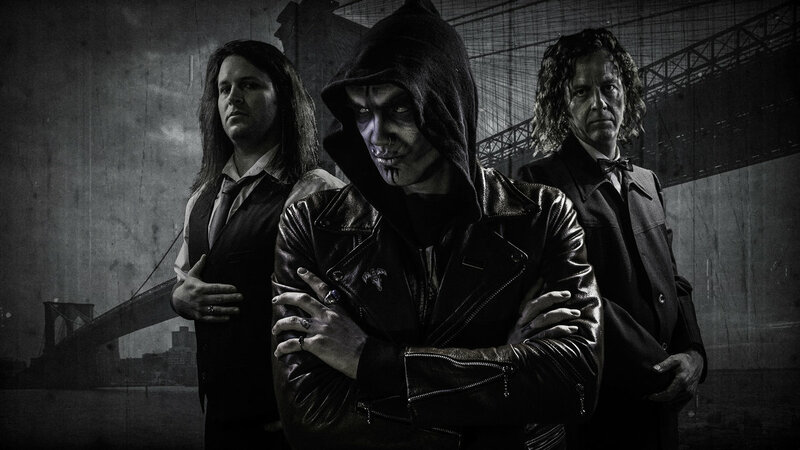 "...Windhawk has so much to offer the Horror music scene as he continues to push boundaries in amalgamating the Punk and Gothic sides of his previous two outings; if you enjoyed those you'll absolutely love this emotive and poignant album." - Lucas Chapel, Devolution Magazine (UK), October 2018. "Red Shadows" originally written by T.S.O.L. with Lyrics by Joe Wood. Recorded, Mixed and Mastered by Bruce Kirby @ Boho Digitalia in SLC, UT. Our family dog - Chancey. Jimmy Dilley, John M. Garrett, Nex-FX, Glenn Bailey, Deeda Seed, Catherine Cookson, Lakota Skye, Adam Judd, Keisha Roach, Ben "Stich" Houtz, Joseph and Larry Holder, Fred Hilliker, Mr. Sinister, Argyle Goolsby, Jordie Paoletta, Acey Slade, Steven L. Godfrey, Johnny Ott, Leigh-Ann Ott, The Cryptkeeper Five, Damnation, Zombiecock, Emilio Menze, Stellar Corpses, Brad Touchette, Benny Austin, Issac and Teale Aldrich, Julio Esquivel, Tina Romero, Think Coffee (NYC), Ali and Victoria Vassal, Salem, Meera, Slim and Hank, Mister B, Tiger and Zippy, Dani's (Kew Gardens), Publik (SLC) and Green-Wood Cemetery (Brooklyn). Thank You to Morticians Assistants (past and present): Richard "Dicko" North, Al Ghore, Matt Ahern, David Thorson, Starling Jade, Eric Smythers, Steven L. Godfrey, Jesse Girard, Sarah Miktuk, Lucas Chapel, Toni Osvald, Lee Webb, Jeff Fugate, Alex Adamovich and Kevin Miller. Tell me now, is it true? Are these red skies really blue? Tell me, is it a lie? Tell me…is it a lie?